Your corporate logo and brand equity are among your organization's most valuable assets. National Emblem reproduces your direct embroidered designs, with the heavy stitch density and accurate needle registration that distinguishes your long-lasting, high quality active wear from all others. 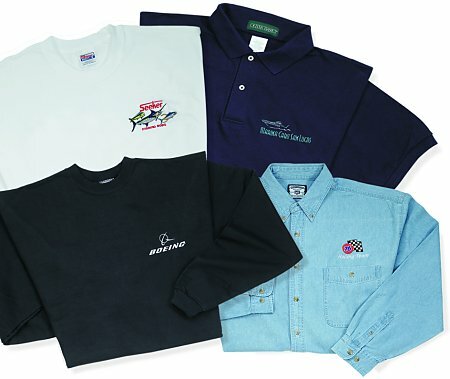 With our complete line of sports shirts, fleece wear, and tees, we can outfit your next promotion, trade show, or corporate event with style. Call (800) 877-6185 for assistance with your design, or to speak with a sales executive in your area.